HOMAG’s General Manager Andreas Grabe welcomes participants to the afternoon session. On Nov. 1, HOMAG Canada held an invitation only, VIP event at its offices and showroom at 5090 Edwards Blvd. in Mississauga, Ont. 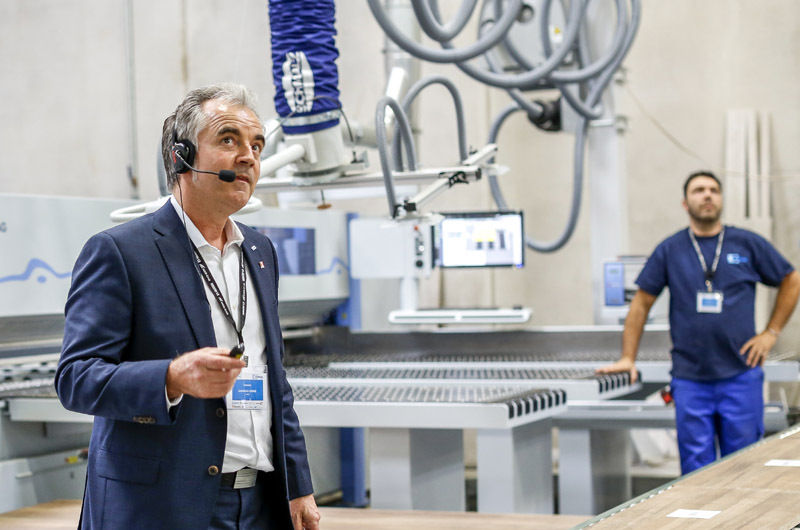 This was a special presentation on Industry 4.0 technologies to help customers take full advantage of their machinery’s full potential with production and assembly optimization technology. It also featured a proven software suite developed specifically for the woodworking industry. Lunch and refreshments were provided.